Black and gold is a fashion power pairing, and Michael Kors' metallic-trimmed bikini guarantees to command attention wherever you go. Let it peek out from beneath a sheer silk tank or wear it alone for scorching-hot vacation style. Named after her grandmother, Cleopatra Borel was born on the east coast of Trinidad in the fishing community of Palisance Village, Mayaro. 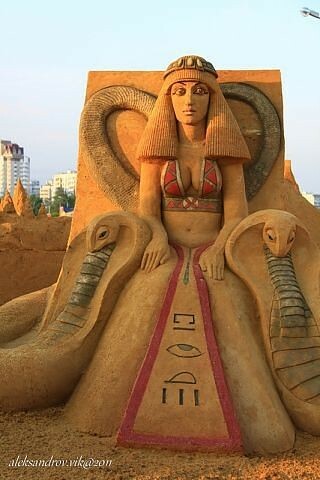 Encouraged by her father Raymond, who was an athlete in high school, Cleopatra pursued her interest in athletics from an early age, quickly developing a passion for the throwing events. Cleopatra has been competing on the international stage for 10 years, with her first success coming at the 2002 Commonwealth Games in Manchester, England, where she was placed just out of the medals in fourth place. In 2003, Cleopatra won her first international medal, a silver at the Central American and Caribbean (CAC) Championships in Grenada. 2004 saw Cleopatra qualify for and compete in her first Olympics, the Games in Athens, where she was placed 10th in the shot put final. 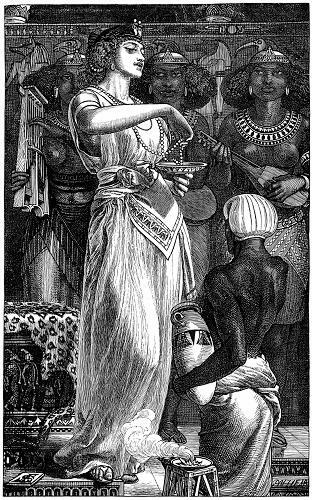 Cleopatra continued to build on her athletic success. In 2006 she won bronze medals at the CAC Games in Columbia and the Commonwealth Games in Australia. Another bronze at the 2007 Pan American Games paved the way for her second Olympic qualification. She competed in the 2008 Beijing Games where she was placed 17th in the final shot put rankings. The first international gold for Cleopatra came in 2010, at the CAC Games in Puerto Rico. In recognition of this achievement, the Trinidad and Tobago Olympic Committee named her Female Athlete of the Year. Her success continued into 2011, where she picked up a silver medal at the Pan American Games and a gold medal at the CAC Championships. Cleopatra is currently an assistant coach at Virginia Tech in Blacksburg, Virginia, USA. She works closely with the throwing coach, Gregory Jack, who is also her personal coach. Cleopatra would like to become a college coach in the future. 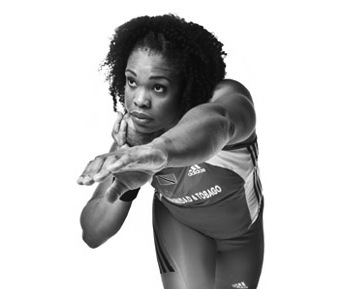 She is conscious of her status as a role model for young Caribbean throwers, a position that comes with being one of the most successful female field athletes from the English-speaking Caribbean. 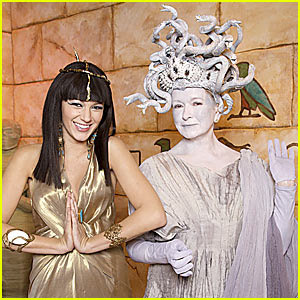 Cleopatra holds a Bachelor’s Degree in Health Psychology from the University of Maryland, Baltimore County." Inspired by the gods and goddesses of Greek mythology, Aurélie Bidermann's gold-plated braided panel necklace will give even the simplest looks instant impact. 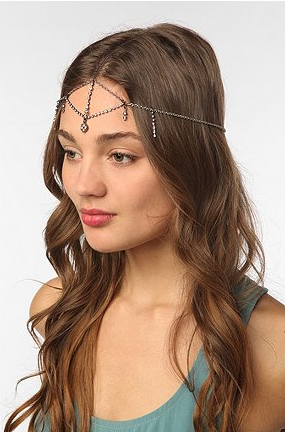 Show off this adornment to full effect with swept-back hair and a bare décolletage. Stellar Australian label sass & bide gives the global traveler aesthetic a super polished spin with this ivory brocade cotton and silk-blend dress. 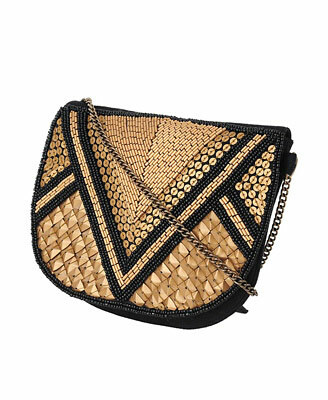 Intricately embellished with eye-catching beads, this notice-me design is the perfect choice for your next event. 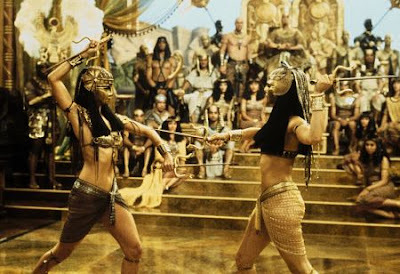 Being Cleopatra has become an obsession of mine, so I hope to continue posting daily on Cleopatra, but my Facebook, Pinterest, or Twitter will probably not be updated as regularly. 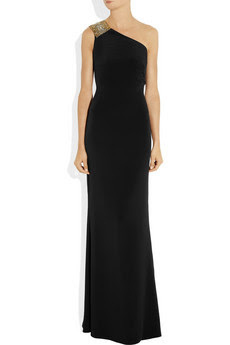 Exquisitely cut from fluid silk-crepe, Notte by Marchesa's black gown is a spellbinding evening option. Be sure to showcase the ornate shoulder appliqué with an up-swept chignon, adding crystal drop earrings for an opulent after-dark ensemble. Washed-out hues are a fresh approach to party hour, so replace your LBD with Haute Hippie's serene cream jersey maxi dress. 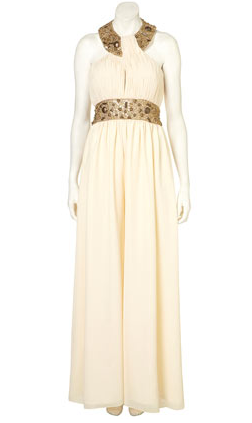 We love the Grecian-like folds and draping that gently fall over your curves for an arresting effect. 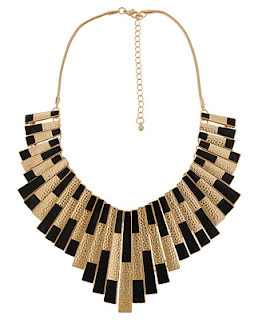 Wear yours with a gilded plate necklace and multi-strap sandals for total goddess glamour. "Palmolive was developed in 1898 by the B.J. Johnson Company and by 1900 was the worlds best selling soap. It was named after its two principle ingredients - Palm and Olive oil. By 1902 Palmolive had become known for its stylish advertising and sophisticated packaging and their message emphasised ingredient purity and the benefits of using their products. In 1910 the company employed Lord & Thomas advertising agency to help them re position the brand into a luxury one that would enhance the beauty of women. This national campaign saw a series of wonderfully designed advertisements using Egyptian iconography." 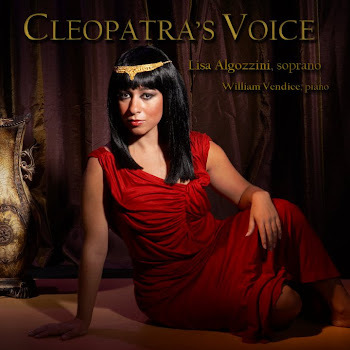 I am an operatic soprano and I just finished my debut CD entitled CLEOPATRA'S VOICE which is comprised of classical vocal music that portrays the legendary Cleopatra. Featuring pieces by Berlioz, Carraud, C.H. Graun, Handel, Hasse, Litta. McDowall & Pacini. 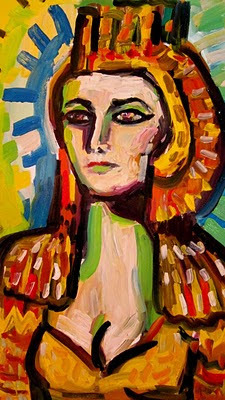 This project has captivated me in BEING CLEOPATRA. 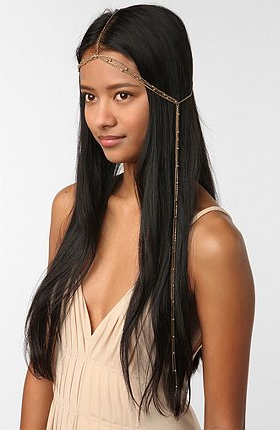 Do you like Being Cleopatra? Help this blog continue by making a donation. Your donation will also go into starting my next blog, Being Juliet, & my new CD, Juliet's Voice, containing rare arias of Juliet from Romeo and Juliet.